As part of The pH Miracle Medical Association, we use Diagnostic Ultrasound, Thermo Imaging, 3D Full Body Bio-Electro-Interstitial Functional Scan, and pHase Angle Testing to identify asymptomatic and often life-threatening diseases in their earliest, most treatable stages. It's not uncommon while scanning for one concern to find other trouble areas that are in need of help; making these medical imaging tools valuable in the healing process. Every Full Body Diagnostic Scan we perform includes a comprehensive study of all major internal organs from which we provide you with captured images and an accompanying physician's written report for each individual study. Our goal with this service is to start people on the road to health and vitality by providing superior-diagnostic-healthcare information, all while doing it without the typical high healthcare prices. No referral from a primary care physician is needed. Final Reports available in less than 48 hours of initial study being performed (Preliminary reports immediately). Dedicated and experienced licensed professionals. Contact us at 760-751-8321 to schedule your Full Body Medical Diagnostic Imaging Test. Medical Diagnostic Ultrasound Imaging, also called ultrasound scanning or sonography, is a method of obtaining images from inside the human body through the use of high-frequency sound waves. The reflected sound waves that echo back are recorded and displayed as a real-time visual image. The benefit of this method is that no radiation (x-ray) is involved in ultrasound imaging. Ultrasound is a useful way of examining many of the body's internal organs like the carotid artery, thyroid, pancreas, liver, gallbladder, kidneys, spleen, bladder, prostate, uterus and ovaries, veins arteries and others. Of course, the most commonly known use of ultrasound is for obstetrics; which refers to the specialized use of sound waves to visualize and thus determine the condition of a pregnant woman and her embryo or fetus. The major advantage is that ultrasound images are captured in real time. This is valuable because we can evaluate the health of internal tissues and organs by monitoring their movement as well as enabling physicians to see blood flow and heart valve functions. This can help identify concerns or illness as well as diagnose a variety of heart conditions which empowers you to make positive changes to begin healing as soon as possible. Medical Diagnostic Infrared Thermal (Thermography) is a state-of-the art scan which can detect physiological abnormalities and metabolic processes occurring in the body by measuring slight temperature fluctuations. This is accomplished as the scanning device converts infrared signals emitted from the skin surface into electrical impulses that are seen in color on a monitor. This visual image or 'thermogram' graphically maps body temperature. Medical Thermography's major clinical value is in its high sensitivity that reveals changes in body tissues and organs that are caused by disease. It is particularly useful in examining the vascular, muscular, neural and skeletal systems and can contribute to the diagnosis made by the clinician. It is a life-saving procedure that can alert you and your doctor to changes in your body that may indicate early stages of breast cancer or other conditions that may be developing within the body. For example, Thermography offers a more reliable and safe mode of early detection for breast disease than is possible through self examination, doctor examination, or mammography. It requires no radiation or compression and is therefore pain free. By performing thermography years before conventional mammography, an at-risk patient can be monitored more carefully. If a lesion forms, ultrasound can then be utilized to get an accurate image of the growth. All of this information increases the patient's treatment options and can dramatically improve the outcome. It is in this role that thermography provides it's most practical benefit to the general public and to the medical profession. It is certainly a support to the appropriate usage of other diagnostic medical tests and not a competitor. X-Ray, C.T., Ultrasound and M.R.I are all tests of anatomy that measure the structures of your body whereas Thermography is unique in its capability to show the physiological change and metabolic processes occurring in the body. The unique feature of the 3D Full Body Bio-Electro-Interstitial Functional Scan is that it is the only procedure known to actually measure, function and risk factors of the body systems. The 3D Full Body Scan can detect many parameters of the human body, with an amazing 89% accuracy. The 3D Full Body Bio-Electro-Interstitial Functional Scan biosensor is a new diagnostic aid to measure bio-impedance in interstitial fluids in the body. This technology was originally invented by German and Russian scientists, and was used in the health monitoring of the cosmonauts of the MIR space station. Subsequently a team of European scientists developed the technology over a 10 year period with trials in hospitals and clinics all over the world for use by mainstream healthcare practitioners in all healthcare fields. Now it’s FDA approved in USA. The actual Body Scanning process takes about 6 minutes and is painless, non-invasive and has no known side effects. It requires the client, who is fully clothed and seated comfortably at a desk to put their hands & bare feet on electrode plates, while 2 electrodes are placed on their forehead. The client does nothing during the scan other than stay quiet and still, watching the body being scanned in real time on the screen in front of them. At the end of the initial Health Assessment, the results will be explained. Then client will receive a report by email. The Full Body test is comprehensive, accurate, painless, non-invasive, with NO radiation scan for finding out what is really going on inside the body. This test gives correct, detailed information, so the Health Practitioner can treat patient’s health condition as successfully as possible. This complex form of bio-impedance testing can often reveal disease patterns before symptoms are manifest. It is also great to monitor the before & after treatment comparisons. • Ions and Minerals such as Calcium, Magnesium, Potassium, Sodium, Chloride which may show why someone has muscle aches, bone strength and much more. • Biochemistry Balance such as Glucose levels and any insulin resistance that may show why the energy levels may be low and it may show why their can't lose weight or why there is a chocolate, sugar or carbohydrate cravings. • The body pH will show if there is a acid-alkaline balance and its maybe contributing to the health problems, Oxygen levels which may show if the brain or muscles are receiving enough oxygenated blood and the CO2 levels, Hydrogen, Bicarbonates for healthy cell metabolism. In addition, some diseases are in the state of development or established present no symptoms. The 3D Bio-Electro system allows the visualization of parameters of tissues and blood helps guide the consultation and eventually helps to better understand the patient's psychological factors and, through a statistical analysis of the risk involved, to prescribe certain targeted supplementary examinations. The modules proposed by the program such as nutrition, micro nutrition, herbal therapy, homeopathy, auricular acupuncture and somatic acupuncture come from analytic software making use of the totality of parameters of therapeutic decisions; the calculations performed by the computer are 1000 times quicker than the human brain (the computer can perform 50,000 operations each second). Nowadays practitioners who practice functional medicine are in the same position as were accountants before the adding machine. The adding machine has not done away with the accountant; it simply allows the accountant to perform his profession differently. Through visualization of a tissue's parameters, the 3D Bio-Electro Scan is positioned as the first step to visualization for all treatments. Actually, whether the treatment is allopathic or functional (alternative), nutritional or micro nutritional, the results are quickly seen... firstly at the level of cellular activity of the targeted organ and therefore at the tissue level, much later at the blood level and even later at the structural level (imagery). In addition, this therapeutic follow-up is painless, non-invasive and with NO radiation. With a therapeutic follow-up the practitioner can as quickly as possible, visualize if a treatment is correct for the patient... whether it is effective, adapted and if there are side effects. This aspect is important for the practitioner who can at all times control and master the treatment (efficacy, side effects, dosage) and equally for the patient who can visualize their good prescription and the control of his or her treatment.Patient compliance with their treatment. After 7 years of utilization in Europe and in Asia, regularly, The 3D Full Body Bio-Electro Scan system finds new clinical applications. It is currently used by all the medical specialties. The pHase angle is defined as the relation between the two vector components of impedance: resistance and reactance and is independent of height, weight and body fat. It may be interpreted as an indicator of water distribution between the extra- and intra-cellular spaces. Lower pHase angles appear to be consistent with either cell death or a breakdown of the cell membrane due to acidosis. Higher pHase angles appear to be consistent large quantities of intact cell membranes and body cell mass due to alkalinity. All living substances have a pHase angle, in fresh uncooked vegetables pHase angle can exceed 45 degrees. In cooked vegetables phase angle is zero because they are dead. pHase Angle is a predictor of outcome and indicates the course of disease or increases as the result of optimal health based on good nutrition and consistent exercise. As we get older our pHase angle will decrease and will be approximately 4 or less upon death. Healthy and fit adolescents may have a pHase angle greater than 10. 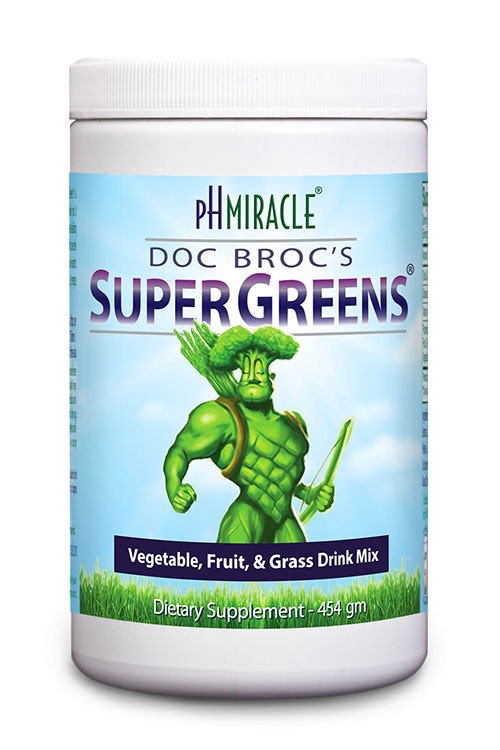 This effect is a result of cell integrity due to aging or fermentation of the body from an acidic lifesyle and diet. 6. Old age (80 - 100 years). Good fitness and lifestyle is the key to maintaining a healthy alkaline pHase angle. In summary, pHase angle is an excellent indicator of disease progression and should be combined with full body Thermography, full body Ultrasound, and Live and Dried blood anaylsis for a complete picture of health and fitness. pHase angle may be thought of as a thermometer with a broad range of normal. We use it at the pH Miracle Living Center to monitor the practice of good health and fitness, which would include a healthy alkaline diet, the use of alkaline pH Miracle nutritional supplements, alkalizing colonics, alkalizing massage and finally alkalizing exercise.